Does your family love fish tacos? But you are trying to incorporate fewer carbs and veggies into your diet? Well, if so, this is the recipe for you. Bear with me as I made this one up on my own (having made zucchini boats using ground turkey from other websites and having tried them using other fillers, I knew it wouldn’t be tough, but I wasn’t sure how these would taste), but this was one of those nights where I literally had no corn or wheat tortillas and had only tilapia (as far as a meat option) yet had quite a few veggies to pick from. So here is what I threw together. I made this for 2 so I’m multiplying my ingredients by 2 to have it serve for 4. (3 tilapia filets was too much – learning curve). These are healthy, but with the avacado on top, they do add more fat, albeit unsaturated fats. So give them a try! Combine cumin, pepper, salt, onion powder, and garlic powder in a plastic bag and shake up til blended. Set aside. Line oven pan with foil and put 4 tilapia filets on it. Spray top side of each filet with two sprays of spray butter. Flip tilapia filets over and repeat spray butter and spice process. Bake tilapia for 15 minutes at 375 degrees. (you will be cooking it alone for 3/4 of the needed time). In the mean time, while fish is cooking, spoon out the middle contents of your 8 zucchini halves and put them in a pam sprayed 9×12 dish or line them on a foil lined oven pan. This is a great time to chop your tomato, onion, broccoli, etc. Once tilapia time is up, raise oven temperature to 400 degrees. Cut/chop tilapia up and scoop 1/2 a filet up per zucchini half. Top with tomato, onion, broccoli and cheese. Add any extra veggies around pan/baking dish to serve on the side, once cooked. Cook boats for 10 minutes in 400 degree oven. 12. Allow a few minutes to cool and add topping if you’d like. (1/4 avacado sliced and 1 tsp parmesan topping per half boat). The consensus by my husband was that these are on the short list of favorites!!! And he loves carbs! So that’s huge! I would love to hear what you think, or how you change them up. Let me know! 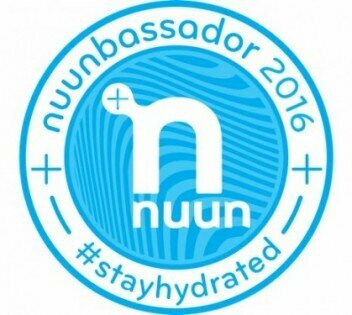 I’m a Nuunbassador for 2016!